We Love Dreams is more than a newsletter. 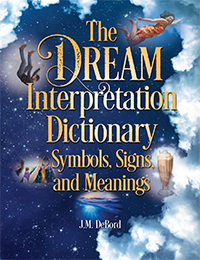 It’s an online course that shows you the ins and outs of dream interpretation. You will receive a welcome email. A day later you will start receiving emails packed with info and links to guide you on a journey of discovery through your dreams. Plus, you will receive periodic updates about the latest news and happenings in the world of dreams. It all begins now. Add your name below or use the “We Love Dreams” subscribe page. When I was in high school I used to have repetitive dreams. It was me going to a place I am sure I haven’t been yet the feeling was so familiar. If I would describe the place it was creepy like an old ancient house. But I never felt scared and when I get inside it was like I’ve really been there. I know the parts of the house. I walked alone inside but I felt that I was not alone. It felt like there’s so many people/eyes around me but I didn’t see anything. The set up was gloomy. The scene was not dark but not bright just enough for me to see everything just like in spooky old movies. I can still remember that this dream occurred 3 days in a row. I used to dream a lot when I was in high school, I had a dream before like it was continuation of my dream.the night before. I can not remember the details but it was just weird to experience as it went on for days. You may call it deja vu but sometime there’s instances that suddenly I will feel that one scenario already happened then that’s the time I realized it happened in my dream. The exact word, feeling, and scenario. That deja vu feeling could stem from deja reve, which means “already dreamed.” It means you can dream ahead of time about things that will happen in your waking life. Sometimes, you don’t remember the dream until you are living in the moment of waking reality it previewed. Pretty wild stuff. I’m convinced it happens — it happens with me. Use the link I put in there to read more about the subject. I focus on my recurring dreams for interpretation and analysis. You can learn so much from them. The old house you dream about could be a symbol of the much deeper structures of you that are mostly outside of your awareness. The person that you are is built atop many thousands of generations of our species and it’s all part of you. There’s so much to know about yourself. Exploring a house is a great way for a dream to create imagery that symbolizes self exploration. Thank you for sharing your experience. I hope you focus on your dreams. I have some questions about a dream, if it’s not too much trouble could you contact me and maybe share your opinion? Go ahead and leave a comment on this page describing the dream.